It has always been a dream of mine to work for the United Nations and I never thought I would get the opportunity to do it in Paris. Ever since I was young, I have always knew that my life’s goal would be make some kind of positive impact in the world, or at least try and leave the earth in a better condition than when I entered it. Call that what you will, but every weird twist and turn in my life has been building to eventually achieve that goal. 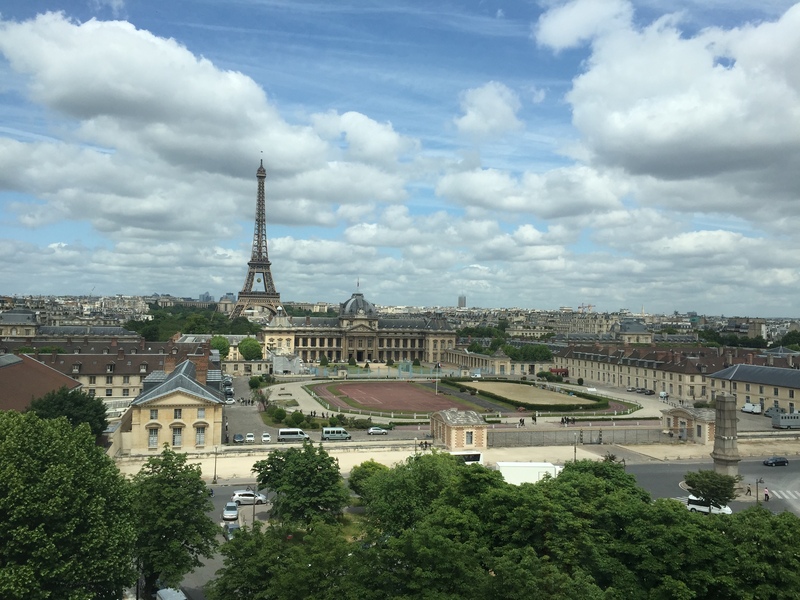 So, one might ask, what am I doing in Paris, and why? As an introduction to my internship, here is a rough guide to UNESCO and the work I am doing within the organization. One side of the UNESCO HQ building. As the world becomes increasingly more globalized we, as individuals, are more connected to receive and spread information than ever before. UNESCO’s mission is to encourage communication and interaction between nations in order to increase incentives for more diplomatic and mutually respectful dialogue. The United Nations Education, Science and Culture Organization (UNESCO) was established in the aftermath of World War II and it is a specialized agency of the United Nations (UN). UNESCO is known as the intellectual body of the United Nations. The main goal of the UNESCO is to contribute to peace and security by promoting global collaboration through education, science, and culture in order to further universal respect for justice, the rule of law, and human rights– along with fundamental freedoms declared in the United Nations Charter. 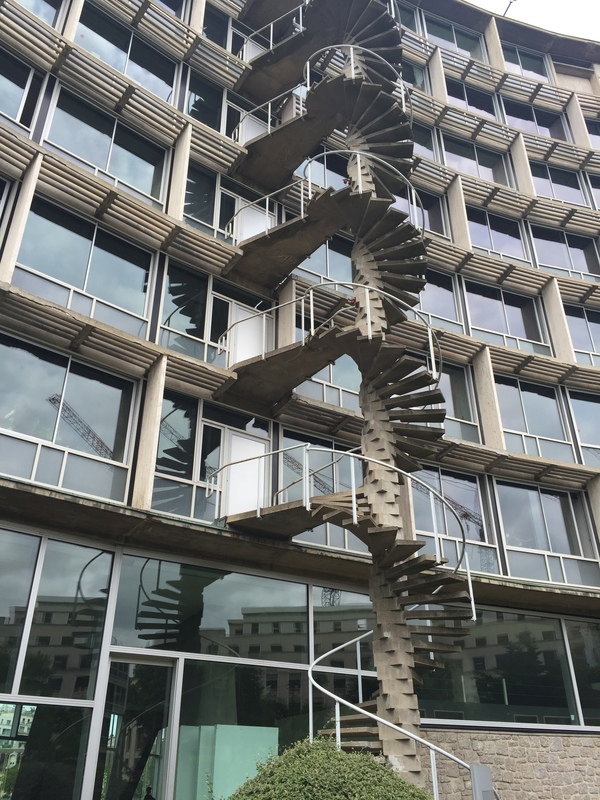 Staircase in the courtyard of the HQ. sets a standard to forge universal agreements on emerging ethical issues. The organization also serves as a knowledge center for the dissemination and knowledge cultivation – while helping Member States build their human and institutional capitals in all aspects of society. UNESCO currently has 195 Member states and 6 Associate Members and the main languages within the headquarters are French and English. At a time when the world is looking for new ways to build peace and sustainable development, UNESCO exists to bring educational, scientific and cultural innovation to life to strengthen the capacity of countries. UNESCO has a unique role to play in reinforcing the foundations of peace and sustainable development. Advancing this cooperation in education, the sciences, culture, communication and information holds strategic weight at a time when societies across the world face the rising pressures of change. Catching up on all current priorities. Since its inception 70 years ago, UNESCO has been at the avant-garde of efforts to support women’s rights, women’s empowerment, and gender equality. UNESCO has two global priorities, operations in Africa and Gender Equality; and the organization’s approach to gender equality has evolved over the past few decades. Where the focus was previously on women’s rights and equality measures, the intention has shifted towards gender, while including issues not only related to women, but minoritized gender issues in general. This shift still focuses on promoting the rights for women and girls, but it also addresses the spectrum of gender that includes Lesbian, Gay, Queer and Transgender issues as well. 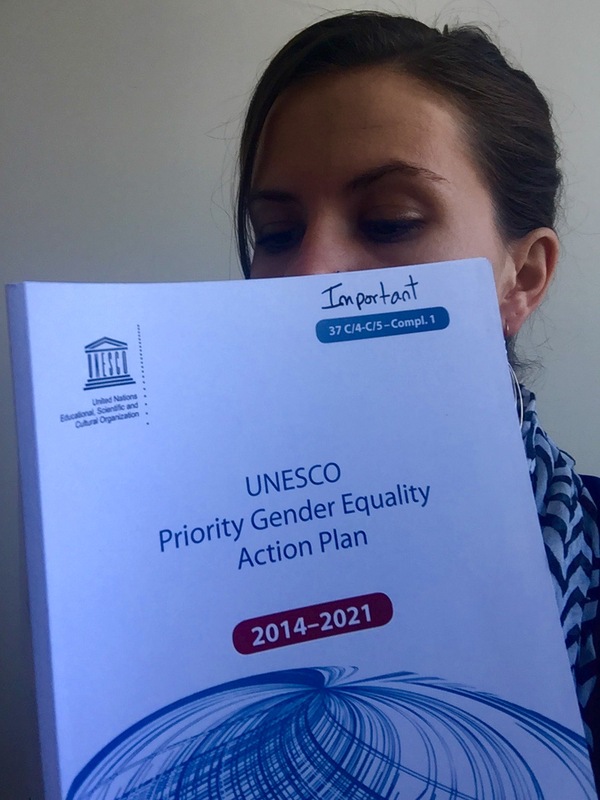 While UNESCO has always been fully committed to the promotion of gender equality, it previously was viewed through the lens that gender in was just one issue among several others that needed to be addressed. In 2007, during the 34th Session of the General Conference, a landmark decision took place within UNESCO, where they made their greatest commitment thus far to the achievement of gender equality by making it one of their two global proirities to focus on. UNESCO’s vision of gender equality is aligned with the relevant international agreements – the Convention on the Elimination of All Forms of Discrimination against Women (CEDAW), the Beijing Declaration and Platform for Action (PfA), the Millennium Declaration and the Millennium Development Goals (MDGs), and the UN Secretary-General’s Five-Year Action Agenda – where gender equality is mentioned specifically to ensure sustainable development. UNESCO maintains that gender equality is a fundamental human right and a foundation for lasting social justice and economic mobility. All United Nations agencies, including UNESCO, are required to promote gender equality within the framework of their mandates. Gender equality is intimately linked to education, where there are systematic efforts to promote the right to education for all. The gender equality division aims to address chronic and persisting gender disparities in terms of promoting gender equality within and throughout the education system. In the Sciences, UNESCO works to provide role models in the field of science for women, building the capacities of women in natural sciences and engineering, and supporting the unique contributions of men and women to scientific knowledge. With respect to Social and Human Sciences, the division works to ensure that gender equality considerations are fully integrated into policies for social inclusion and social innovation. The policies specifically target young women and men, and express consideration is given to the distinct needs, expectations, and the aspirations of young women in disadvantaged positions. There are also efforts to develop capacity-building activities that target young boys and men to become strong gender equality advocates. The view from my desk. The gender equality division at UNESCO is a fast-paced environment where the ability to adapt is key to executing tasks on a day-to-day basis. Since gender equality is a stand-alone priority set forth in the current Sustainable Development Goals (SDGs), the division works closely with the Director General, Irina Bokova to ensure this goal is executed. The division is relatively new and small, so everyone works closely together to collaborate on all gender-related issues. Considering I previously had a background working in a start-up back in San Francisco, based on my short time here, I believe this division functions similarly, wherein everyone has many different roles and at times must be challenged to do things that are unfamiliar. The office speaks and does casual business in French, but all offical correspondance, reports and emails are done in English. Seeing that UNESCO is a bureaucratic organization, I do expect to have administrative tasks but I also believe that the changing nature of the work environment, will give me the opportunity to expand my skillset in many ways while also meeting experts in all fields and learning from them. I have always wanted to know what it is like working for a large internationally governing body like UNESCO. I believe internship will give me a in-depth look into the inner-workings of a big international organization and better understand how it operates and executes on a grand scale.